Devine Ozigbo enjoyed his best season in his final year as a Husker in 2018, earning third-team All-Big Ten honors from the conference media and honorable-mention accolades from the league’s coaches. 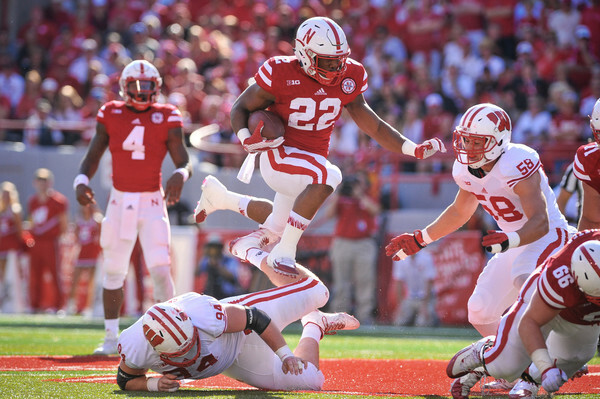 Ozigbo was Nebraska’s leading rusher, gaining 1,082 yards with 12 rushing touchdowns. 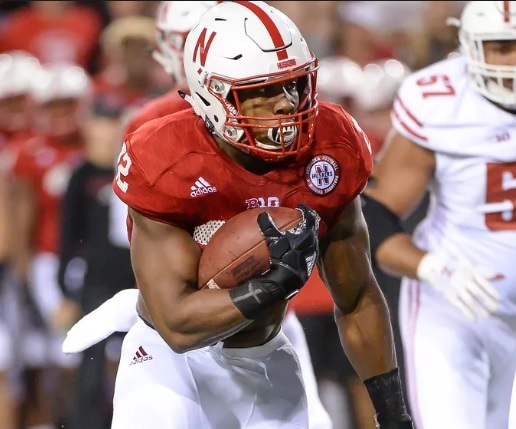 Ozigbo became the first Husker since Ameer Abdullah in 2014 to rush for 1,000 yards, and Ozigbo’s 1,082 rushing yards as a senior nearly matched the total from his first three seasons combined (1,114). While becoming the 26th Husker to rush for 1,000 yards in a season, Ozigbo averaged an impressive 7.0 yards per carry, posting the seventh-highest yards-per-carry average in Nebraska history among players with at least 150 carries. Ozigbo averaged 90.2 rushing yards per game in 2018, and he also set career highs with 23 receptions and 203 receiving yards. 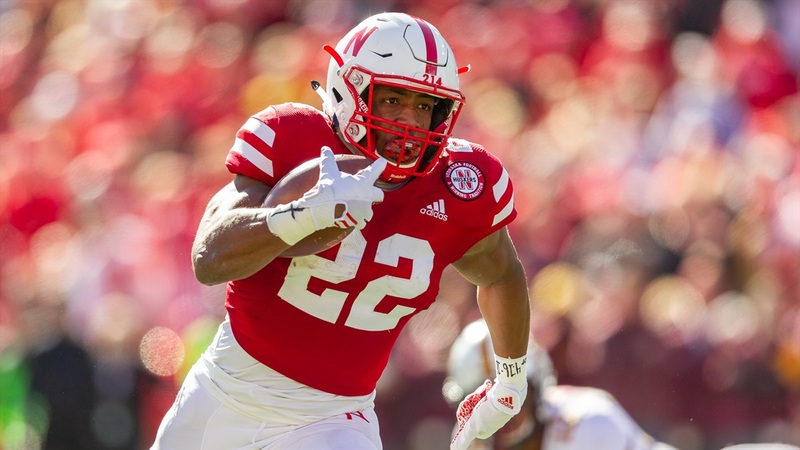 Ozigbo had at least six carries in all 12 games, but he emerged as Nebraska’s No. 1 back against Purdue, the first of his nine straight starts to end the season. In his nine games as a starter, Ozigbo averaged 110.2 rushing yards per game and 7.9 yards per carry while scoring 11 rushing touchdowns. 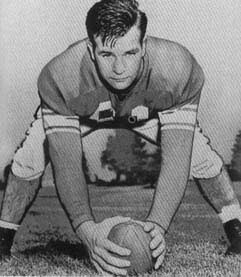 He ran for more than 150 yards four times in his nine games as a starer and had five 100-yard rushing games. Ozigbo ended the regular season ranked 12th nationally in rushing yards per carry and 30th nationally in rushing yards. Ozigbo began his senior season with 14 carries for 60 yards, including an eight-yard touchdown, against Colorado. Ozigbo also caught two passes for 17 yards against the Buffaloes. The next week vs. Troy, Ozigbo ran for 25 yards on nine carries. He earned his first start of the season against Purdue and produced a career-high 170 yards on only 17 carries. 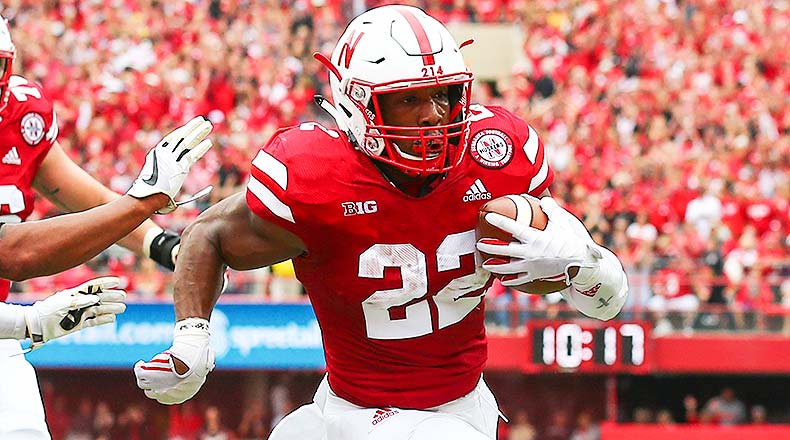 Ozigbo also tied his career high with a pair of touchdown runs against the Boilermakers, and his 170 yards were the most by a Husker in a Big Ten Conference game since Abdullah rushed for 225 yards vs. Rutgers in 2014. After adding 29 yards on five carries at No. 16 Wisconsin, Ozigbo had 22 carries for 159 yards and a pair of touchdowns at Northwestern. He added another big day against Minnesota, rushing for 152 yards on only 12 carries, including touchdown runs of 40 and 59 yards. Ozigbo only played the first half against Bethune-Cookman in the final game of October, but he ran for 110 yards and one touchdown on only 11 carries. At No. 8 Ohio State, Ozigbo rushed for 86 yards and one touchdown on 20 carries, while catching one pass for 13 yards. Ozigbo had a career performance against Illinois, earning Big Ten Offensive Player-of-the-Week honors for his effort. He rushed for 162 yards against the Illini on only 11 carries, averaging a whopping 14.7 yards per carry. He scored a career-high three touchdowns in the game, including career-long runs of 60 and 66 yards, both of which went for touchdowns. Ozigbo also surpassed 2,000 career rushing yards against Illinois, becoming the 30th Husker to reach the milestone. 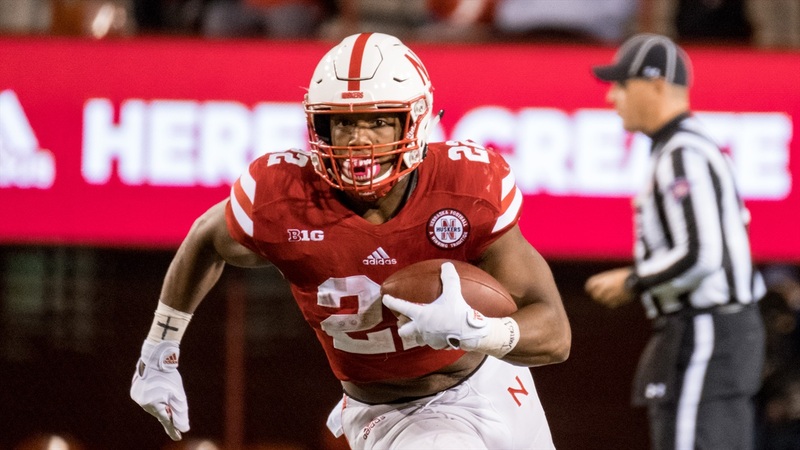 Ozigbo reached another milestone in the Huskers’ win over Michigan State, posting his first career 1,000-yard rushing season after gaining 74 yards on 18 carries against the nation’s No. 1 rushing defense. He closed out his career with 50 yards on 10 carries at Iowa, moving him into a tie for 25th on Nebraska’s all-time rushing list with 2,196 career yards. Stanley Morgan Jr. capped an outstanding career by becoming Nebraska’s all-time leader in receptions (189) and receiving yards (2,747) during a senior season which saw him become the first 1,000-yard receiver in Husker history. 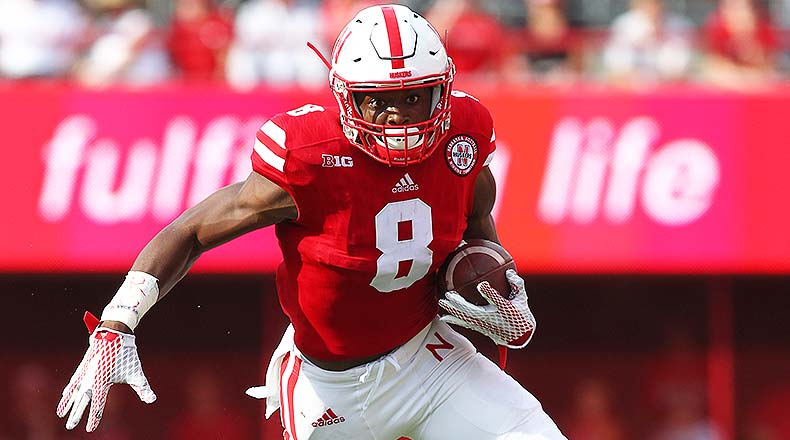 Morgan led Nebraska with a school-record 1,004 receiving yards in 2018, eclipsing his own school record of 986 receiving yards from his junior season. Morgan was one of only 28 FBS players to have 1,000 receiving yards during the regular season, a group that included just three Big Ten receivers. 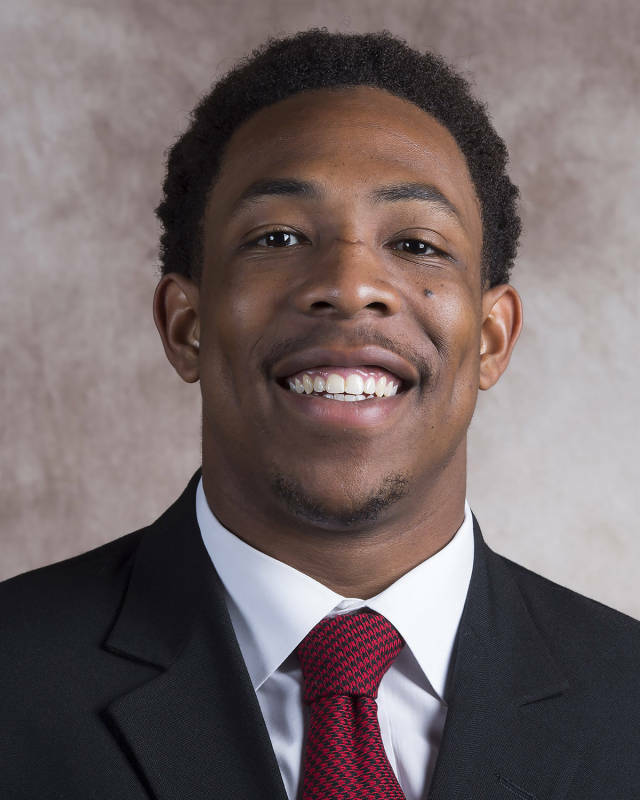 A second-team All-Big Ten selection, Morgan also caught a career-high 70 passes as a senior, becoming the first Husker wide receiver to have 70 catches in a season. He averaged more than 14.0 yards per reception and caught seven touchdown passes. Morgan also caught at least two passes in every game, ending his career with a reception in each of his final 38 games, a school record for most consecutive games with a reception. The first player in school history to have two 900-yard receiving seasons, Morgan had at least three receptions and 60 receiving yards in each of the first five games. Morgan recorded five receptions for 75 yards in the season opener against Colorado, and had five catches for 64 yards, including a nine-yard touchdown, against Troy. He posted a game-high 61 receiving yards at No. 19 Michigan and had four catches for 69 yards against Purdue. At No. 16 Wisconsin in the first game of October, Morgan tied his then-career high with eight receptions and totaled a then-season-high 93 yards, his seventh straight game with at least 60 receiving yards. 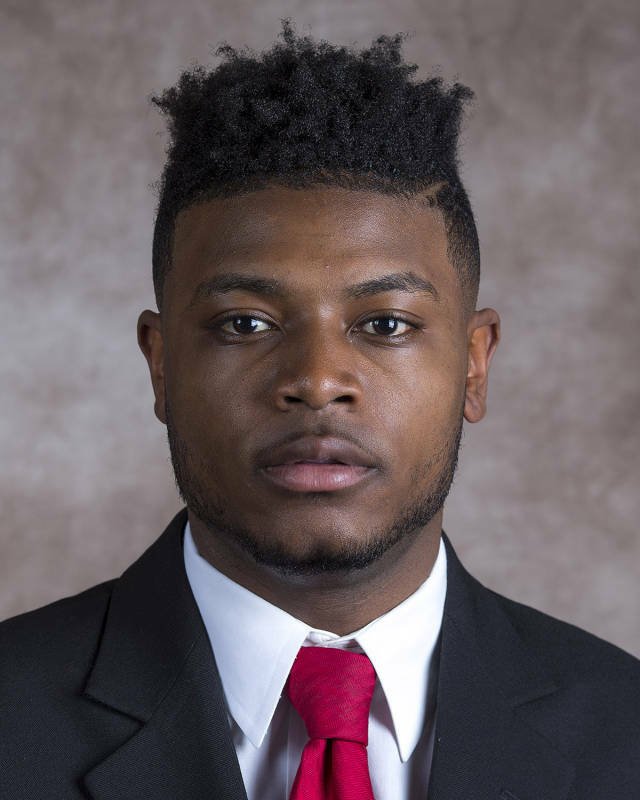 After being limited to two catches for 31 yards at Northwestern, Morgan had a career performance in the Huskers’ win against Minnesota. Morgan had a career-high 10 catches against the Gophers, while tying his career high with two touchdown grabs and posting 163 receiving yards, the second-highest total of his career. He played only the first half the next week against Bethune-Cookman but caught seven passes for 82 yards, including a pair of touchdowns. At No. 8 Ohio State in the first game of November, Morgan hauled in seven catches for 87 yards, his third consecutive game with at least seven receptions. Against Illinois the next week, Morgan had eight catches for 131 yards and two touchdowns, his third straight home game with multiple touchdown receptions. In a win over Michigan State the next week, Morgan led the Huskers with four catches and 67 receiving yards. 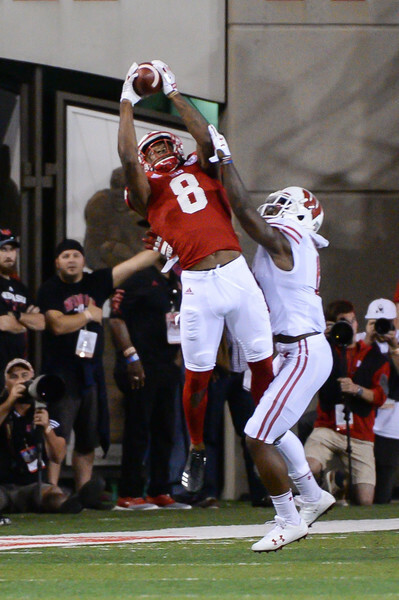 His final catch was the 182nd of his career, as he passed Kenny Bell atop Nebraska’s all-time receptions list. 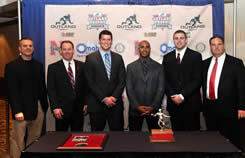 Morgan concluded his career with seven catches for 81 yards at Iowa. 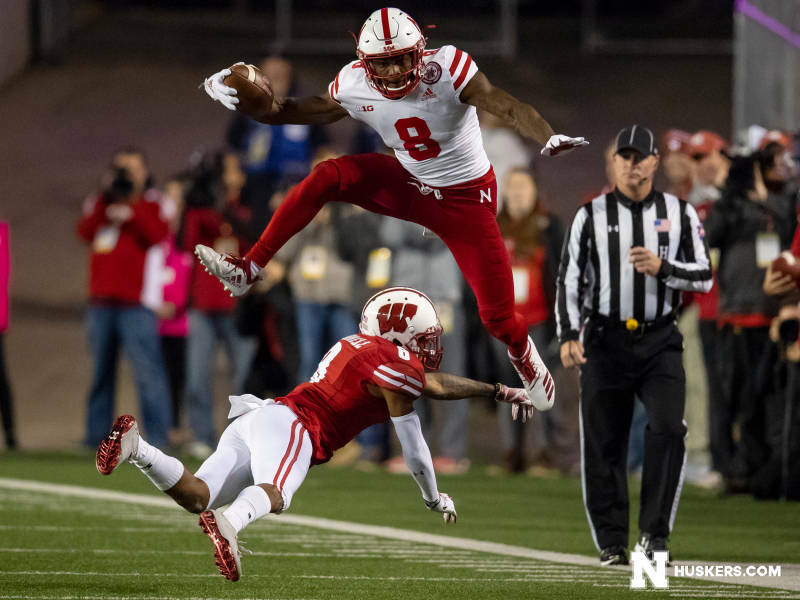 The 81 receiving yards allowed him to post Nebraska’s first 1,000-yard receiving and gave him a school-record 2,747 career receiving yards, breaking Bell’s record of 2,689 receiving yards. 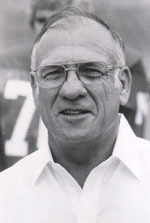 The Iowa game also extended Morgan’s streak to catching a pass in 38 consecutive games, breaking his tie with 1972 Heisman Trophy winner Johnny Rodgers for the longest streak in school history. Morgan finished his career with multiple receptions in each of his final 24 games. 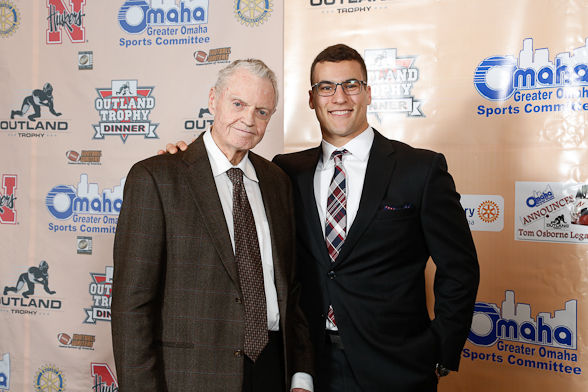 Selected by the Husker coaches and presented annually to the senior player who best exemplifies the following qualities: good work ethic; competiveness; leadership;forthrightness; sense of humor; pride; loyalty; and love of Nebraska. 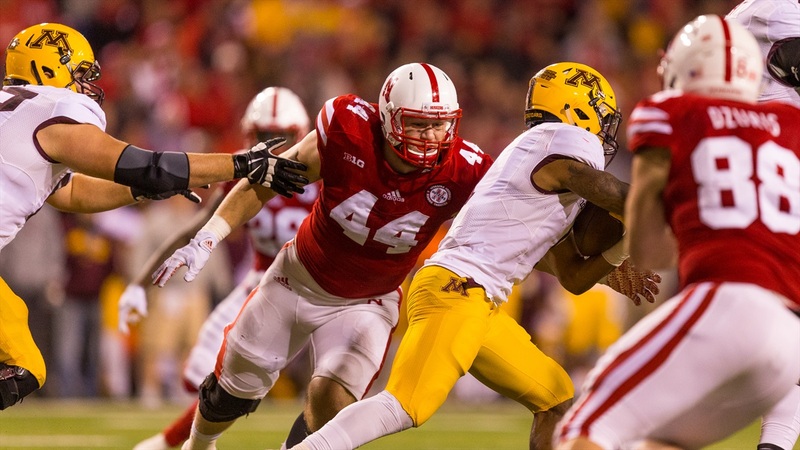 Mick Stoltenberg battled through injuries to appear in eight games with four starts as a senior captain for the Huskers in 2018. 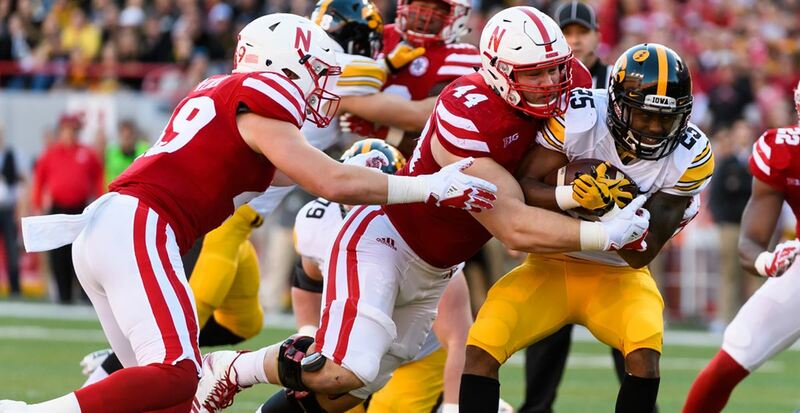 Although the injuries limited his production to just nine tackles in 2018, Stoltenberg’s leadership help Nebraska allowed two fewer touchdowns per game over the second half of the season compared to the first six games of the year. Stoltenberg also had a pair of TFLs and 1.0 sack and intercepted the only pass of his career in 2018. Stoltenberg started at nose guard in each of the first three games this season before missing four straight games due to injury, snapping his streak of 22 consecutive games started. Stoltenberg recorded his first tackle of the season against Colorado and added two tackles at No. 19 Michigan, before he left that game early with an injury. 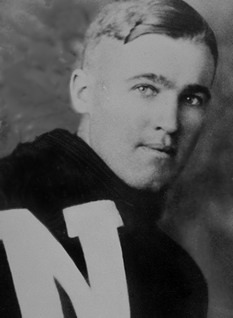 After missing four games with the injury, Stoltenberg played primarily defensive end once he returned to the field. He had one tackle vs. Bethune-Cookman in the final game of October and added another tackle the next week at No. 8 Ohio State. 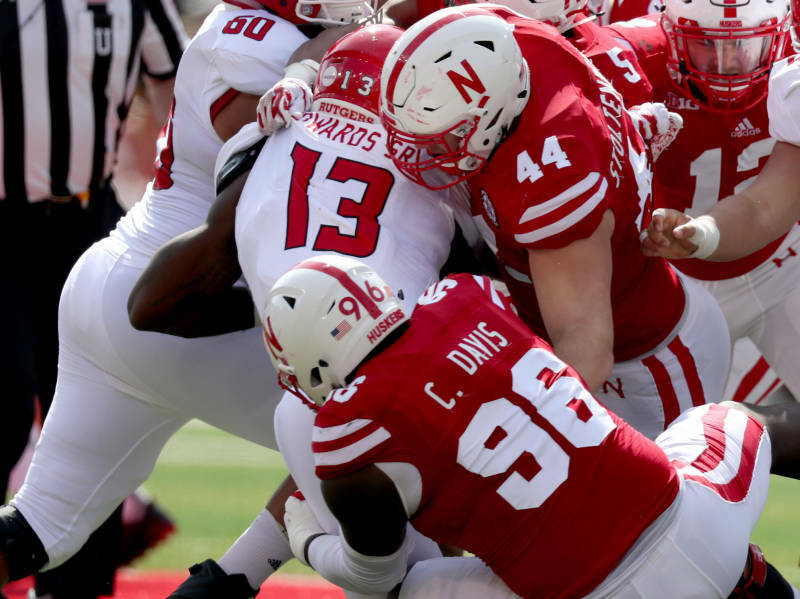 He made a big impact in the Huskers’ win over Illinois, tying his career high with two TFLs and 1.0 sack and intercepting the first pass of his career. 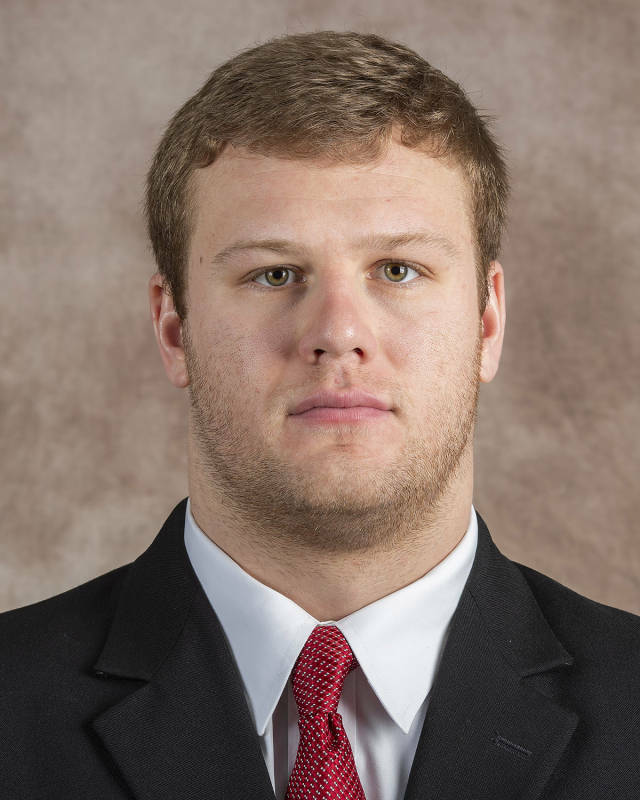 Stoltenberg then earned his first career start at defensive end against Michigan State, when he totaled one tackle. 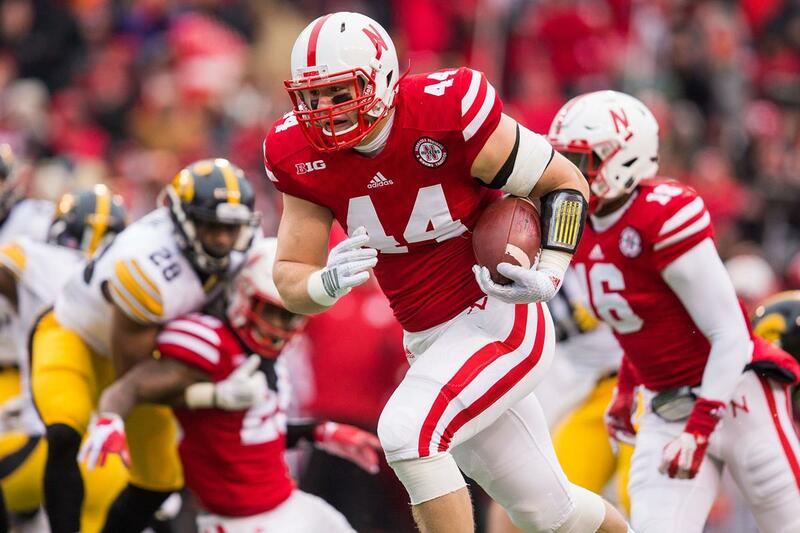 He ended his career with a solo tackle at Iowa. Off the field, Stoltenberg was one of 179 players across all division of college football named a semifinalist for the prestigious William V. Campbell Trophy, which is presented annually to the nation’s best football scholar-athlete.